Aimee Vance, has worked in the charitable sector for thirty years. Her consulting success was memorialized in the industry bestselling book RE-IMAGINING PHILANTHROPY where she was named AMERICA’S SUPER CONSULTANT. 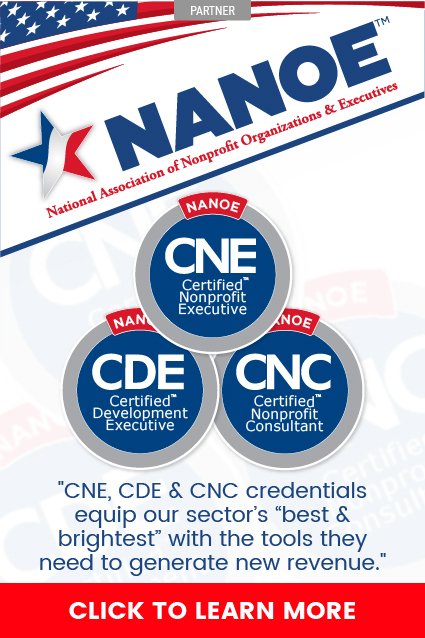 She holds the Certified Nonprofit Consultant (CNC) credential issued by the National Association of Nonprofit Organizations & Executives and also serves on NANOE’s Board of Governors. Her nonprofit experience runs the gamut from small, local organizations to the nationally renowned. She’s a Senior Counselor with Development Systems International and says that the secret to her fundraising success is being an expert with the Major Gifts Ramp-Up Model. 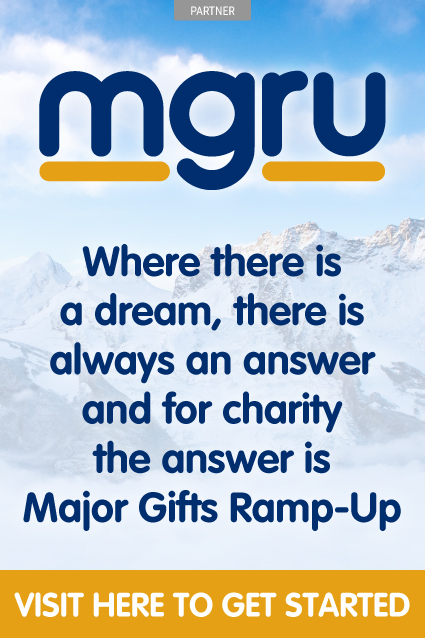 Major Gifts Ramp-Up is based on the premise that donors, advocates and volunteers are the true customers of a nonprofit’s mission (before clients or causes). Aimee uses the Major Gifts Ramp-Up Model to ensure that annual fund programs, capital projects or endowment campaigns are celebrated by friends and supporters long before you invite them to make a financial gift. Aimee Vance is a veteran who prepares your organization to answer the following questions with “YES” before you go public with your fundraising initiative. Have you grown your prospect base to a sufficiently large number of big-gift donors and can you identify others who may be interested in giving substantial amounts? Is there wholehearted agreement among the administration, staff, volunteers and directors/trustees concerning the worthiness of your fundraising plans? Are the trustees/directors and staff committed to the success of the project? Will everyone make personal sacrifices for the campaign – both in time and money? Is top-level leadership available, leaders who will bring their networks to bear? Can a sufficient corps of enthusiastic volunteers be enlisted to work on the campaign? 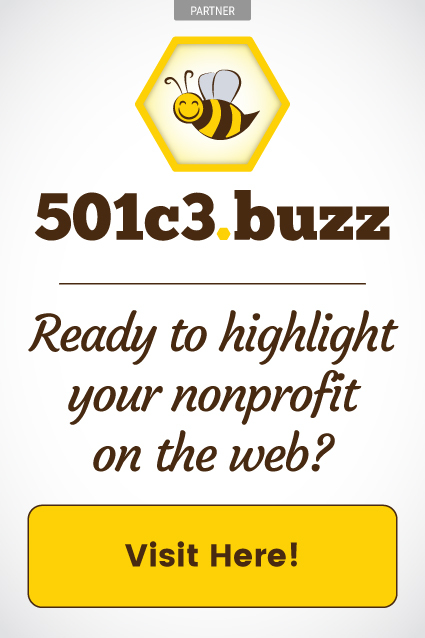 Is your organization well regarded and highly respected in the community? Are your services considered important and relevant? Is there a valid need for your project? Can this need be communicated with urgency? Can a large gift representing 15-20% of the campaign goal be secured prior to formally launching the campaign? Can one-half of the campaign goal be secured from 10-15 donors? Have you implemented an effective public relations campaign that has introduced your “Case for Support” to the right people in your community? Have you selected fundraising counsel that will ensure you answer the previous questions with “YES” before you go public? In closing, Aimee’s tenure at Prison Fellowship resulted in recognition from the Federal Department of Justice and The Esther Award from the National Coalition of Women in Ministry. In 2012, Aimee co-founded Strong Schools in her hometown of Hendersonville, Tennessee, which focuses on sustainable support for the public school system. Strong Schools received media attention locally, regionally, nationally and globally and is now sought out by parent groups all over the U.S. Aimee’s vast experience in the nonprofit sector has resulted in intimate knowledge of the inner workings of nonprofits, both small and large, and that knowledge informs her expertise in the area of fundraising. Whether crafting a direct mail campaign, assisting in board development, developing branding and marketing plans, or assisting nonprofits in pursuing relationships with community philanthropists, Aimee’s ingenuity has produced millions of dollars for deserving nonprofits. Aimee and her husband, Larry, live in Oak Ridge, TN with their 12 year-old son. She also has one daughter who is married and another daughter who is pursuing an acting career. She continues her work with Strong Schools and serves on the Board of Historic Rock Castle. The post Meet Aimee Vance – America’s Super Consultant – Major Gifts Ramp-Up Expert appeared first on 501c3.buzz.